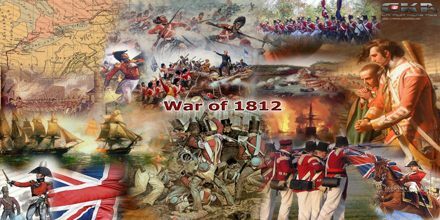 General purpose of this lecture is to present on War of 1812. Here main focus on causes of the War: Britain and France were fighting a war in Europe; Britain began capturing American sailors and “impressing” them, or forcing them to work on British ships. By 1807, Britain had seized more than 1,000 American ships. This lecture also briefly describe on Embargo Act of 1807. President Jefferson convinced Congress to declare an embargo. He believed the embargo would hurt Britain, but it really hurt America. In 1809, Congress ended the embargo with all countries except Britain and France.